What Ariana Grande now lacks in ponytail height, she more than makes up for in HUGE projects that are shrouded in mystery—take, for instance, the social media hints she's been dropping lately featuring all your favorite romantic comedies. 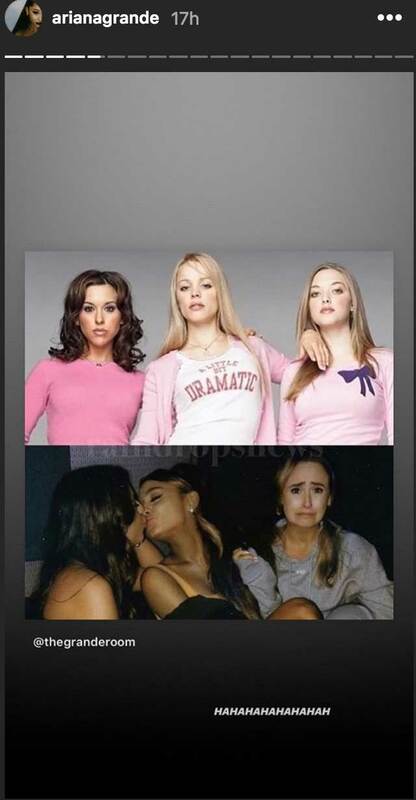 ICYMI, Ariana has been busy recreating scenes and ~lewks~ from her favorite early 2000s movies and posting the pics to Instagram. The first movie she decided to reboot was the always-fetch Mean Girls, which she channeled by dressing up in a fluffy pink crop top and posting pictures of her crew. If you were wondering if her outfit was really supposed to give off Mean Girls vibes, Ari connected the dots by posting a still of Karen Smith rolling her eyes with "thank u, next" below it. And she also captioned a picture of her kissing her friend with this iconic quote: "Yeah but she's my FIRST cousin." Next up was Legally Blonde, and Ariana even recruited the bend-and-snap queen Paulette AKA Jennifer Coolidge for the pic. 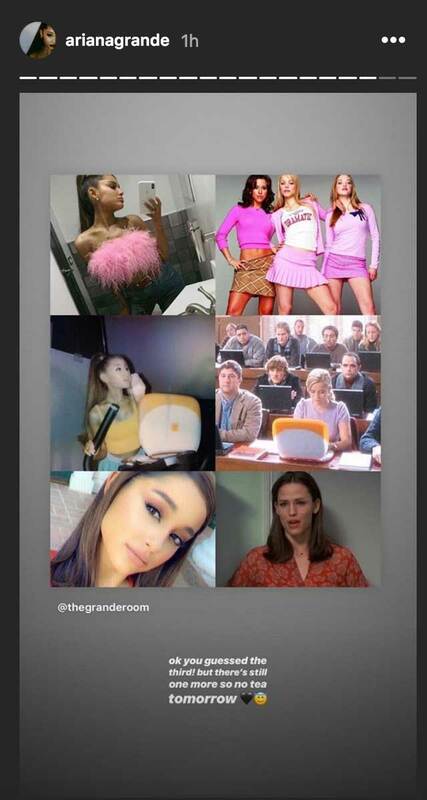 She also captioned the Paulette picture, "thank u, next," so we're guessing these movies provide the theme of her next music video. Then Ariana showed off her ponytail-less hair, comparing it to Jennifer Garner's style in 13 Going on 30. Ariana's not 30 just yet, but she's def channeling those flirty and thriving vibes. 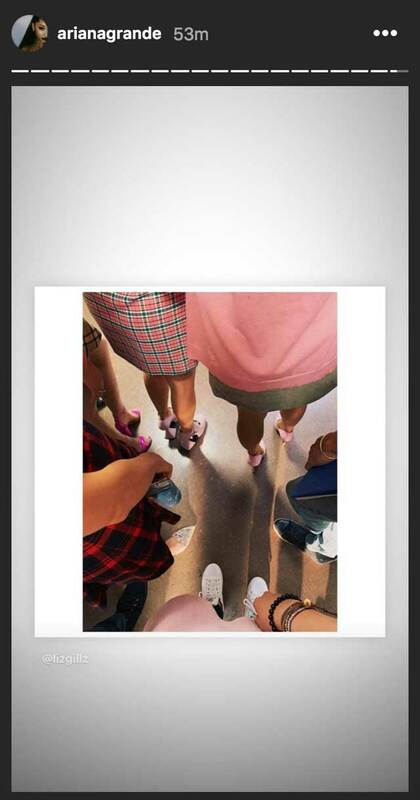 The last picture she posted had lots of plaid in it, which can only mean she's going for Clueless next, right? Ariana refused to spill any more details today, but her Insta Stories will tell us soon enough.